Last week, much of the media carried ''mock-shock'' headlines stating that the Dublin Region had got 60pc of new jobs. The headlines all overlooked that the Dublin Region has the majority of the State's population - so the job increases are in perfect alignment with the share of population. We seem to be looking for excuses to beat ourselves up while ignoring really good news that is right under our noses. Less widely reported was the success of an 110-year-old Irish company, which was named 'Exporter of the Year' by the Irish Exporters Association. Mayo's Portwest, which designs, manufactures and distributes specialist workwear, employs more than 3,000 staff worldwide with revenues of almost a quarter billion euro. Surely more headlines should be about this type of success - showing how local and individual Irish talent can successfully take on the world with amazing tenacity and ambition. These two examples illustrate how distorted our thinking can be about the realities of our talents and our successes. If we are to continue to succeed as a nation, then we need to pay better attention to those things that are important, real and true - and not be distracted by headlines that can be misleading either on account of exaggeration or by omission. Most aircraft accidents occur because pilots ignore or disbelieve their dashboard data. Ireland is now regularly ranked as one of the most successful countries in the world - in many categories. This has been achieved through 40 years of persistent government focus on attracting Foreign Direct Investment (FDI) and sustaining it with high levels of education, productivity and profitability for the companies involved. Changes in the world economic order mean that a new chapter is opening now for Ireland - one in which we will need to continue as a world-beating competitor for FDI - though competing increasingly on qualitative issues including reliability and cost of utilities, choice and affordability of housing or transport as well as all of the factors that create a world-class working environment - culture, sports, recreation and placemaking. We will also need to think of ourselves as a country that produces more and more of our own world-beating competitors - like Portwest and all of the other amazing Irish exporting companies that it had to beat to win this coveted award. These, too, will need to be supported by the same world-class factors that sustain our FDI companies. We will need a step-change in how we organise ourselves if we are to continue to succeed. The ''how'' will increasingly be more important than the ''what'' - this means that how we manage ourselves, our talent, our governance, our society and our resources will become the critical success factor. Most people think that, like sport, success just requires the ingredient of talent, training and luck. Sport, however, provides very good evidence that more is required. Our three main field sports are played by individuals who begin with equal talent, training and luck, yet the organisation and management of these can lead to dramatically different results. So, could sports provide important guidance on how Ireland should manage itself in the future? In Ireland, there are almost three times more soccer clubs than GAA clubs and 30 times more clubs for soccer than for rugby. In 2017 the Government gave capital grants of €25m to the GAA, €7.7m to soccer and €5.3m to rugby. The result of our investment is that Ireland's soccer team is ranked 31 in the world according to Fifa, while last week Ireland was ranked as having the best rugby player, coach and team in the world. Meanwhile, in GAA, the debate about Dublin's dominance provoked renewed calls for Dublin to be split up - to give a more equal spread of opportunities for players and counties alike. Could there be lessons for us in these facts about how national talent is managed? Could these lessons have any relevance to governance, business, well-being and the prosperity of Ireland? Is soccer a model for how to run Ireland, if it appears to be unable to organise the country's most-widely played sport? Why can't we compete as well as Europe's other small countries? Fifa rank Belgium 3, Portugal 4, Switzerland 6, and Denmark 12. It's not a lack of players or talent. So, the only remaining question must be whether it is a lack of a unifying structure, management or leadership? Is GAA a model for how to run Ireland, if it appears to have the opposite problem to soccer by having too much structure? Is the GAA a model if it keeps trapping itself under a burden of self-made rules and bureaucracy that places the needs of individual talent below that of abstract and outdated ideals of local pride and unrealistic notions of fairness? Rugby appears to have found a middle path that provides avenues for individual talent, regardless of location, while creating a highly effective national framework. It has evolved organisational structures that rival the GAA's ability to provide support and training at every level from local schools to international competitors. Its system of having a clear priority of country, region over club has created a conveyor belt of world-class world-beating talent. Ironically, giving priority to the national good is what has allowed each of the rugby provinces to achieve undreamed-of success. Where some in the GAA seek to suppress talent by breaking up Dublin, the IRFU magnified talent through by-passing clubs to form large strong provinces. Yes, there was a trade-off because club rugby is said to be diminished by the highly successful national system, but the whole nation prospered. Every fibre of our national policy-making and planning seems to be based on the GAA model of giving priority to local identity and need at the cost of threatening national success. Every other week we have a report saying that Dublin gets too much; that small towns and villages need more, that we must err on the side of lifting up what is failing and holding back our success - like those in the GAA wanting to split Dublin. Is it taboo to ask is this the right order of things? There is a pretty simple test to decide which is the right priority. Will investing in any province lift Dublin or vice versa? Only by giving priority to the strongest will we have the surpluses to invest in the rest. 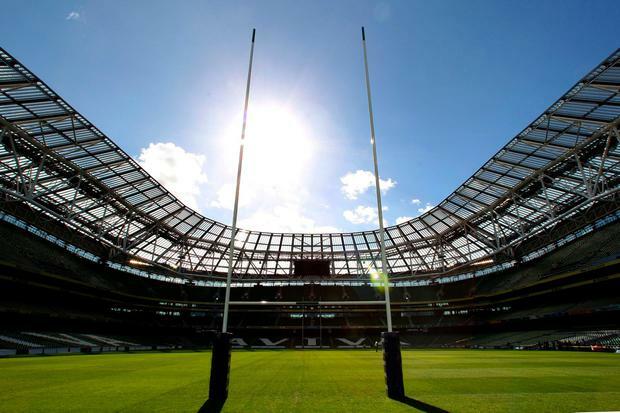 A successful Ireland will give an even better platform for companies like Mayo's Portwest to perform in - the same way that Ireland's rugby structure has provided a platform for prodigious individual rugby talent from Connacht to perform on the world stage. We need to reverse the organisation of our planning. We need to first concentrate on the Dublin Region and consistently strive to make it the world's most competitive city-region. This will set up a conveyor-belt of talent that will lift regions. A strong Leinster will make a stronger Munster and these together will make stronger Connachts and Ulsters - just like it has done in rugby. Sport offers an example to us of different ways that Irish people have organised themselves. Each has different outcomes - but only one has produced performances and players that are the best in the world. If we can all agree that the time has come for Ireland to change how we organise ourselves, then we already have a successful model to follow. All we have to do is to set ourselves the goal. Ireland 2030: Best Players. Best Team. Best Country in the World. It won't happen unless we plan for it. Kevin Doyle One line stood out in the New IRA's statement claiming responsibility for the murder of Lyra McKee.